Blackfriars Area Guide - What makes Blackfriars so great? Where do Blackfriars locals go? 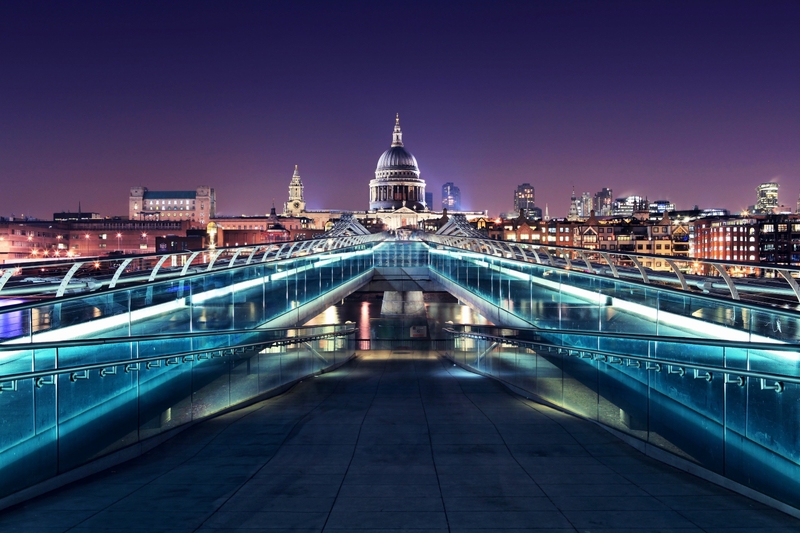 Share your favourite place to go to in Blackfriars. "Connecting Smithfield Market and Farringdon Station, aptly named Cowcross Street was used as a route to take cows to market." When walking across stunning Millennium Bridge, it always makes me feel like a tourist in my own city. I love the buzz of the City at dusk and the stunning architecture along the cityscape. It really makes me excited to live in London. Blackfriars is an area of central London, which lies in the south-west corner of the City of London. The name Blackfriars was first used in 1317 (as Black Freres from the French 'frÃ¨re' meaning 'brother') and derives from the black cappa worn by the Dominican Friars who moved their priory from Holborn to the area between the River Thames and Ludgate Hill in 1276. The area is now the location of Blackfriars station, and forms the northern bridge-head for both Blackfriars Bridge and Blackfriars Railway Bridge. Alongside the road bridge is Blackfriars Millennium Pier, a stop for river bus services on London River Services. The Victoria Embankment stretches along the north bank of the river west from Blackfriars to Westminster Bridge. Notable buildings in the area include the large Art Deco Unilever House. The older parts of Blackfriars have regularly been used as a filming location in film and television, particularly for modern films and serials set in Victorian times. What are your favourite things about Blackfriars? Find out how much your flat or house is worth om Blackfriars. Feedback about living in Blackfriars has been submitted directly by the public and may not neccessarily reflect the views of Foxtons. The description of Blackfriars was modified from Wikipedia and is available under the Creative Commons licence. Land Registry data is Crown copyright. All the views and contributions contained within Foxtons Local Life are those of the contributors. All content is assessed before publishing for taste, however free opinion is encouraged. Foxtons accept no payment or sponsorship for content that is posted about Blackfriars.